We are the shop to visit for all of your ceramic, porcelain tile and stone design ideas. We have over 28 years experience in the industry and can assist you in the selection of materials for your home. We specialize in ceramic, porcelain, metal and glass tile. We also provide natural stones, such as marble, granite, soapstone, onyx, limestone and slate in the tile form as well as slabs for counter tops, fireplace surrounds and many other applications. We also offer various solid surface products such as Dupont™ Corian®, Silestone®, Caeserstone®, Cambia®, Dupont™ Zodiac® and many other quartzite brands. We are a full service tile company providing detailed installations with over 25 years of experience. 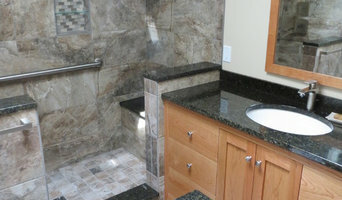 Our services include complete bathroom remodeling, custom showers, backsplashes and glass tile installation. When quality matters, call Seacoast Tileworks. 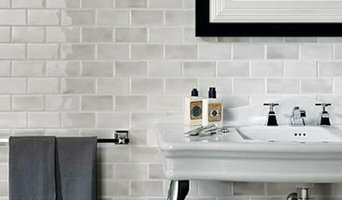 We are a high end, to the trade, tile store located in the Hampton's. We specialize in marble and mosaics. We have left our mark in the design community on the east end by working alongside some of the most well respected builders and designers in the Hampton's. We prefer to operate by appointment only in order to ensure that we delivering quality customer service and can devote our full attention to each client. Please contact us to schedule a time to come in. We'd love to meet you! Weatherly Tile & Stone, Inc. Specialty Tile & Stone showroom. One of a kind glass tiles, handmade 100% glass tile, Precious marbles & granites....WTS is the Harry Winston of tile. Make your kitchen or bathroom elegant with beautiful stones from Bella Vitta Stone Enterprise, LLC in North Grosvenordale, Connecticut. We offer the fabrication, sales, and installation of marble, granite, soapstone, and composite countertops. By adding a new countertop or sink, you can change the look and ambiance of your home or office. Visit our showroom today to browse through our wonderful selection of kitchen and bathroom sinks. At GENROSE Stone + Tile (Formerly Galleria Stone & Tile), we believe that your living space should reflect your personality. The design elements should speak to who you are. Remodeling a room isn’t just about picking tile for a backsplash or attempting to coordinate paint colors ... it’s about incorporating glimmers of who you are into the space. Our philosophy is simple: the selection process is as important as the project. The materials used should be chosen with care ... they should inspire you. We offer over 300 types of stone slabs and thousands of tile options. While this may sound overwhelming, we pride ourselves in getting to know our customers and honing in on the options that best fit their needs. Whether it’s a sea shell mosaic for your New England beach house or clean, classic Carrara marble to elevate the look of your kitchen, we are experts at pulling the perfect samples and bringing fun, excitement, and a little bit of you into your project. Welcome to Verona Granite & Marble: your destination for natural and engineered stones! Verona Granite and Marble Importers is a family owned business located in Fall River, Massachusetts. We are a wholesale distributor of the highest quality of natural and engineered stone. Our goal is to offer outstanding customer care, quality stone products, competitive pricing and a knowledgeable team of professionals to assist you selecting the stone that best suits your individual needs. 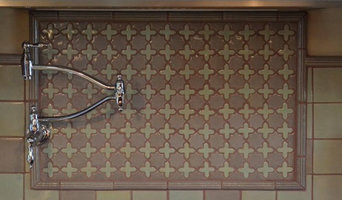 Handmade sculptural tiles for your kitchen & bath. I create custom wall pieces with clay, each piece is hand-built in a distinctive non-square shape, using either terracotta or stoneware to create intricate designs that exalt nature. The thickness of each tile varies giving more visual interest and volume. There is a wide variety of available colors, all lead-free and commercial grade, ensuring consistency in quality and colors still offering their own unique appearance giving an unlimited creative expression. Established in 2004, The Granite City has been offering custom fabrication and installation of natural and engineered stone. We also offer an array cabinetry, sinks and faucets for you to choose from. Stop in and let us help you design your kitchen or bath. If it involves tile, stone or another countertop material, odds are this pro can tackle the job. With comprehensive knowledge of which surfaces will work best in various locations within the home, Rhode Island tile, stone and countertop contractors can help you select the ideal material for the intended application. Some focus on kitchens and bathrooms, while others handle outdoor projects, such as walkways. In addition to basic surfaces, many Quonochontaug, RI tile, stone and countertop contractors can create and install murals and mosaics, as well as add decorative edge treatments to countertops. They also repair or replace surfaces in the event of chips, cracks, stains or other damage. Many tile, stone and countertop professionals also install shower pans, radiant-heat flooring systems and other common components of surfacing jobs, often working in tandem with Quonochontaug, RI plumbers or other professionals. Here are some related professionals and vendors to complement the work of tile, stone & countertops: Interior Designers & Decorators, Architects & Building Designers, General Contractors, Kitchen & Bath Designers, Design-Build Firms. Find a tile, stone and countertop contractor on Houzz. 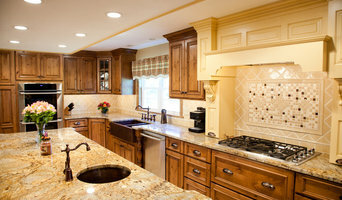 Narrow your search in the Professionals section of the website to Quonochontaug, RI tile, stone and countertops. 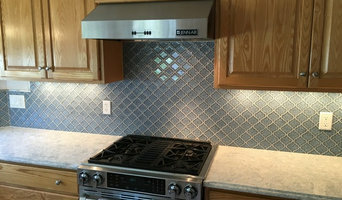 You can also look through Quonochontaug, RI photos to find tile, stone and countertop projects you like, then contact the contractor who worked on it.